The Rector, Rev'd Jane Proudfoot. Jane has been the Rector at St Wilfrid's since September 2012 following her curacy at St Thomas, Stockton Heath and St Mary Magdalene, Appleton. She has lived in the Deanery of Great Budworth since 1993 but originally hails from Nelson and Colne in East Lancashire. Before her ordination she worked as a teacher in secondary and primary schools in the area. She says 'We are a happy church and I look forward to welcoming you to St Wilfrid's'. John Prytherch, Lay Reader. John was licensed as a Lay Reader at St Wilfrid's in October 1987. Before his retirement he was a solicitor for North West Water. His ministry includes preaching, leading worship and funeral ministry. John loves to travel by rail and is an enthusiast for all music but particularly that of his favourite composer, Olivier Messiaen. Chris Hunter, Lay Reader. 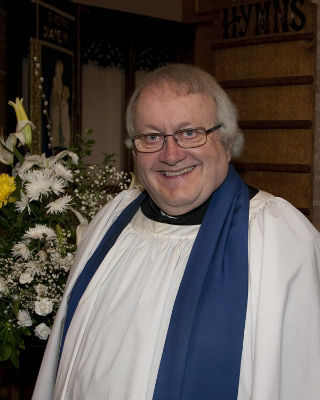 Chris has been a Lay Reader at St Wilfrid's for 24 years and is also the Deanery Sub-Warden of Readers. Chris leads worship and preaches and is well known for her brilliant story-telling skills. She leads the Pre-school Praise Team and the Baptism Team and is the proud grandmother to two little boys. Gordon Berry, Churchwarden Emeritus. 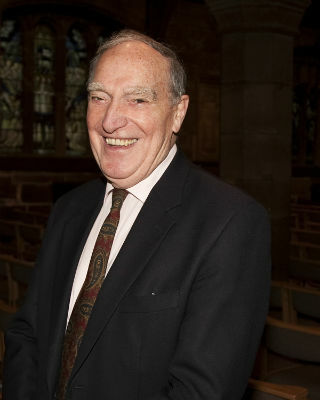 Gordon has been Churchwarden at St Wilfrid's for over 40 years and is the fount of all knowledge when it comes to the history of the church and the ins and outs of church life. He has been the friendly welcoming figure to generations of children and adults, giving high-fives to the children as they leave church. Julie Ryan, Churchwarden. Originally from East Lancashire Julie and her family live in Grappenhall. Julie is one of the first two women appointed as Churchwarden in Grappenhall in 2018. Linda Stockton, Churchwarden. Linda has a long association with St Wilfrid's and with St Wilfrid's School. 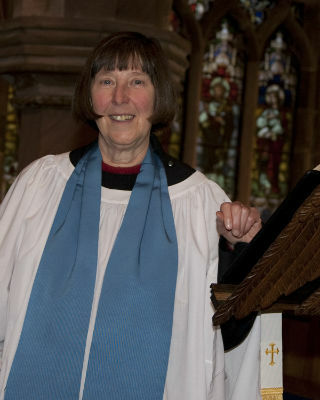 Linda was appointed in 2018 - one of the first two women appointed as Churchwarden in Grappenhall.